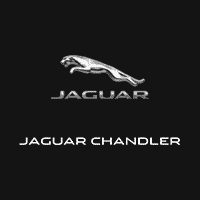 The latest Jaguar models are available at Jaguar Chandler, from the stunning Jaguar F-TYPE coupe to the commanding Jaguar F-PACE SUV. No matter which Jaguar model you choose, you can experience all-out performance and luxury. Browse our inventory at your local authorized Jaguar retailer to find a new Jaguar for sale that fits your needs and tastes in Phoenix. There are plenty of reasons to buy a Jaguar, but if you are having trouble deciding between Jaguar models and want to narrow your search results, compare Jaguar models like the Jaguar XJ vs. XF. When you are ready to experience Jaguar performance in person, contact us for a test drive in the Tempe area.